When it comes to the perfect dream food, ice cream tops the list of edibles I just can’t get enough of. 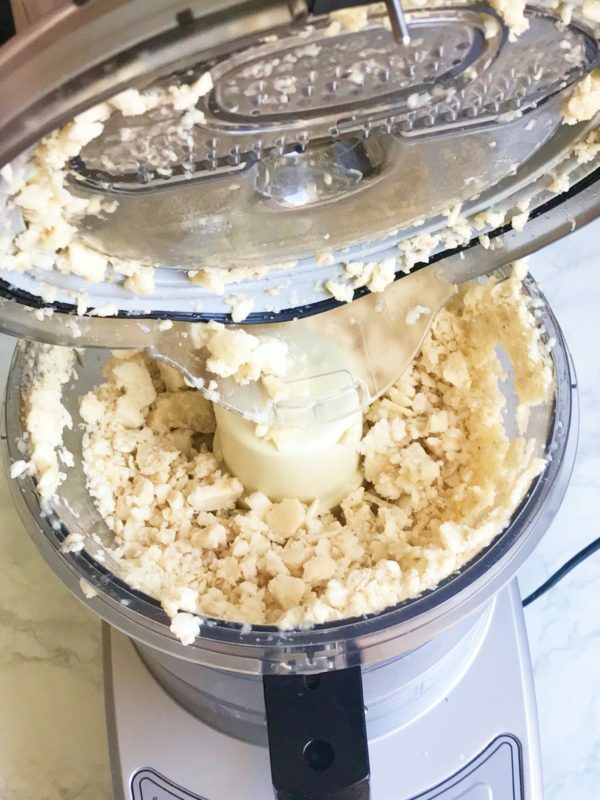 This rich, creamy, texture-infused frozen treat has a refreshing allure that makes it difficult to say no to – especially during the hot summer months. Unfortunately, this calorie filled dream food has it’s bad side too. I will admit, the combination of frozen milk, artificial coloring, and processed sugar isn’t exactly an ideal recipe for skinny jeans or dairy-intolerant eaters. That is until I discovered the genius of making homemade frozen banana ice cream out of only one ingredient. You guessed it… bananas! 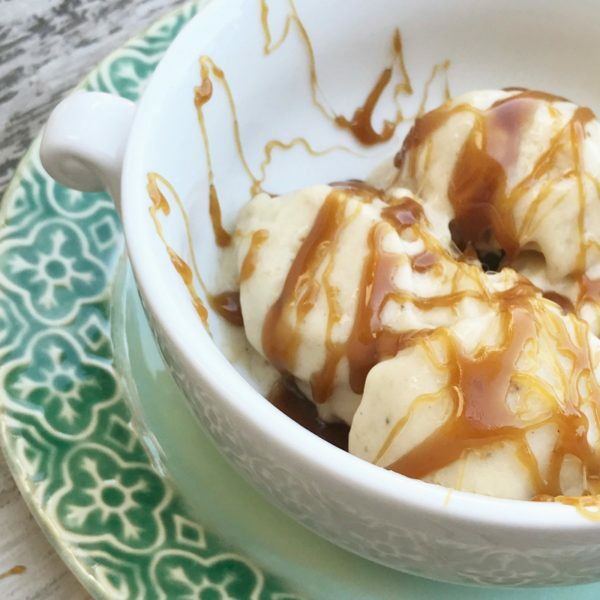 Take it just a step further and top it off with one of my favorites, Organic Caramel Agave Nectar sauce. It’s a Vegan caramel sauce that contains no added sugar, corn syrup, artificial sweeteners, preservatives, water or thickening agents. Finish this beauty up with a pinch of coarse sea salt and that is what I call a spoon full of heaven on earth. Happy summer and enjoy the ice cream! 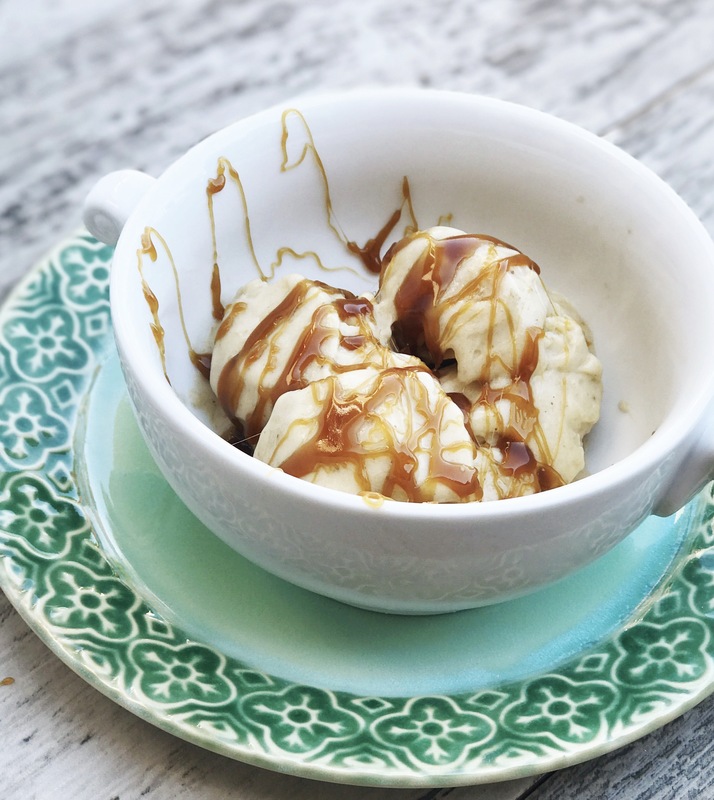 An irresistible dairy-free ice cream dessert that will want to make over and over again. 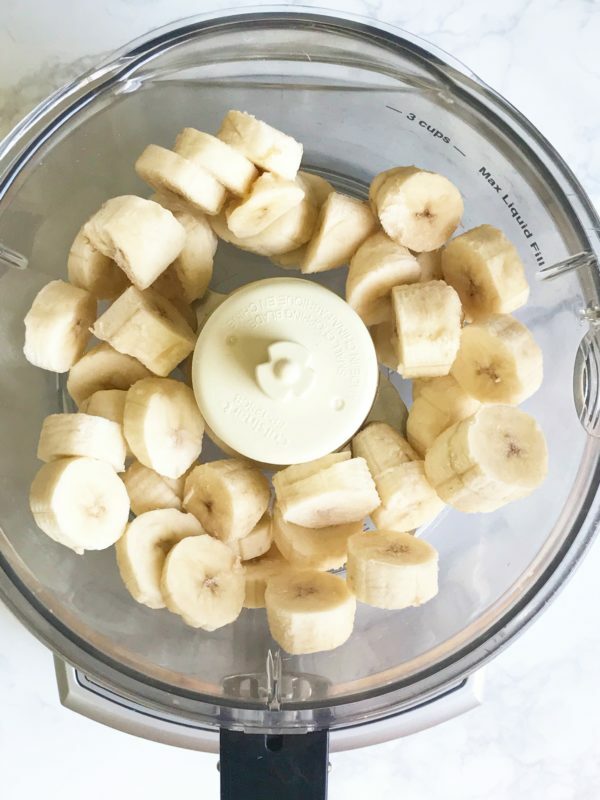 Place frozen bananas in food processor and pulse or blend on high until creamy. You may need to stop the machine, push the bananas from the side and pulse until completely combined. Transfer ice cream to a bowl and place in the freezer until ready to serve. 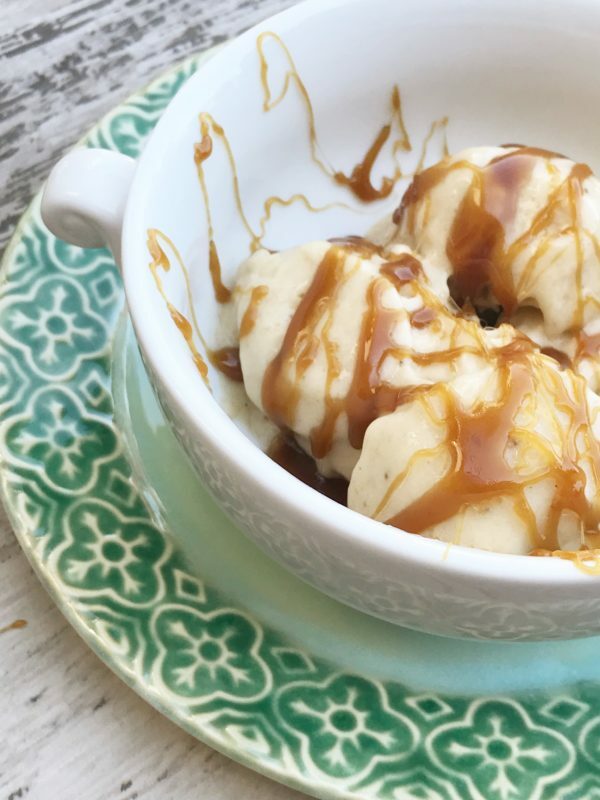 Remove ice cream from the freezer, scoop into a bowl, and drizzle caramel agave nectar sauce on top of ice cream. Lightly sprinkle with additional sea salt and enjoy!